Not wasting any time this off season, the Red Sox signed Koji Uehara to a two-year, $18MM deal as reported yesterday. The first move in what we hope will be a very busy off season for the Red Sox front office. "As we get into free agency, there will be a lot of other stuff to do. We had an exclusive window with him, so we felt like it made sense to take advantage of that time," general manager Ben Cherington said. "We had a chance to examine Koji at the end of the year and spent quite a bit of time talking to him and looking at what happened," Cherington said "After that process, felt really, really comfortable with where he was and where he will be going forward both from a health and performance standpoint." Andrew Miller back in Fenway? On his blog, Uehara expressed his happiness in returning to Boston. "Thank to the fans. I will still work hard," he wrote. For the Red Sox, there is bountiful risk involved. Uehara will turn 40 on April 3, three days before Opening Day. He has appeared in 148 games — counting the postseason — over the last two years and thrown 152 1/3 innings. Cherington also stated that the Red Sox would continue to add to their bullpen, which has plenty of openings. Burke Badenhop (RHP) - appeared in 70 games this season became a free agent on Thursday. Craig Breslow (LHP) - Red Sox are likely to decline his $4 million option, he pitched in 60 games this season. Decision has not been made but is due on Monday next week. 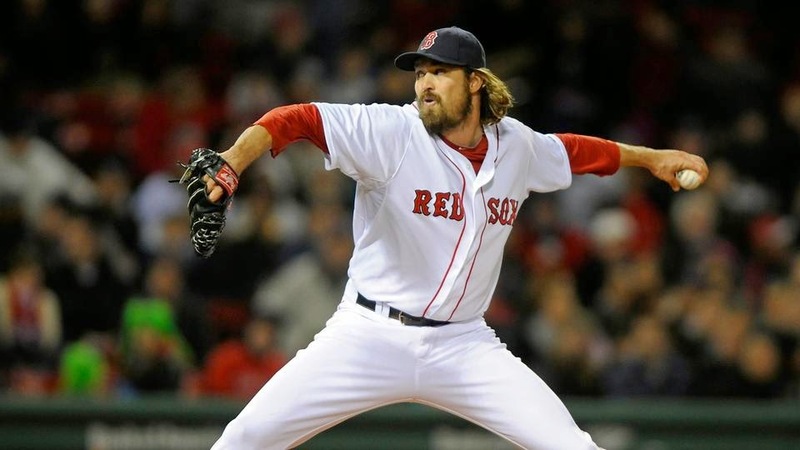 Andrew Miller (LHP) - a free agent now but remains at least a possibility to return to Boston after being traded to Baltimore. Matt Barnes, Rubby De La Rosa, Anthony Ranaudo and Brandon Workman are bullpen candidates if they are not slotted into the rotation or traded. 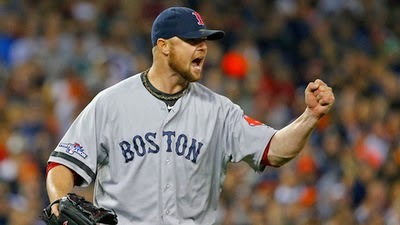 Jon Lester (LHP) - like Miller a free agent but of a different price tag, see below. Given the need to improve the rotation and lineup of a last-place team, signing Miller seems unlikely given the significant investment in Uehara. Miller could command a package worth $30 million as a free agent. Then there is the Lester conversation. As for free agent Jon Lester, Cherington did not exactly hang a “Welcome Home” sign over Yawkey Way. "We're going to try to build the best team we can and we know that one of the areas we need to add to is the rotation. He's a free agent and obviously we know him well," the GM said. "We hope to get a chance to talk to him. I'm sure we'll talk to others; I'm sure he'll talk to others." Sounds like going through the motions without planning to offer the substantial package needed to land Lester back in Boston? "We have to get into the off season and see what comes of it. I feel like the relationship is in place that will allow for a conversation. From there, we'll see where it goes. He'll have options and we will, too." The feeling here is that both Miller and Lester are going to cost too much to pull them back into Boston. The starting rotation and bullpen are going to go through a significant shuffle this off season so stay tuned for the trade action coming our way.